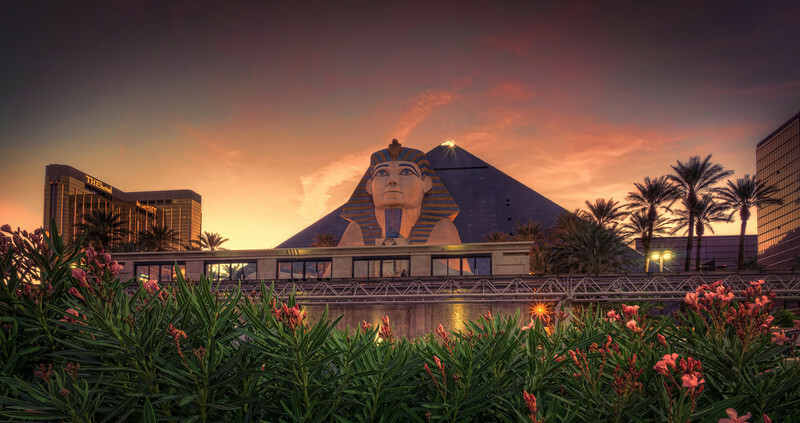 This hotel is quite an interesting construction with its fully black pyramid and the huge sphinx in front of it. Here it is with the burning sky surrounding it. Mandalay Bay can also be seen on the very left.